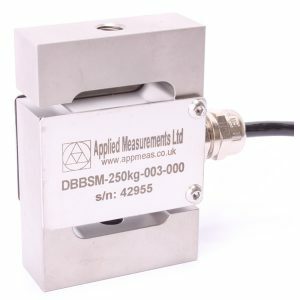 The WPSPS hygienic weighing platform contains an accurate IP67 waterproof or optional IP69K steam jet cleaning protection rated single point load cell within the platform meaning that only one load cell is required centrally positioned to make an accurate weighing system. The hygienic weighing platform has an overall protection rating of IP67 (optional IP69K for steam-jet cleaning). Thanks to their flow-through modern smooth curved design the hygienic weighing platform is waterproof and dirt-trap free. Using the optional IP69K load cells within the platform guarantees the weighing platform for use in high hygiene areas ensuring it can be pressure washed safely. The WPSPS hygienic weighing platform have a two piece laser cut buffed stainless steel removable 304 grade top plate. Plus, height adjustable stainless steel rubber based mounting feet which promise level and accurate weighing. The WPSPS hygienic weighing platform comes in capacities from 0-3kg to 0-300kg as standard in a number of platform sizes with custom higher capacity or bespoke sizes available. All models have can be provided with 300mm or 600mm high columns. 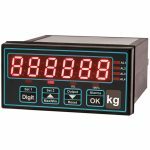 We can supply the WPSPS hygienic single point weighing platform calibrated with a signal conditioner or digital display from our range of instrumentation to provide a complete weighing platform system to suit your application. *WPSPS6060 is built from box section rather than folded laser cut plates. This additional strength allows this larger platform to be used up to 300kg.